What can you tell me about Samos, Greece? 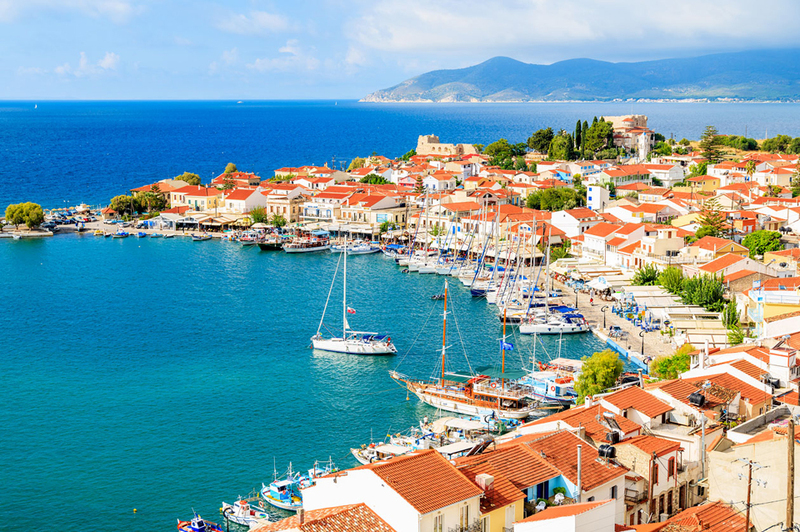 Samos is a beautiful island in Greece where philosopher Epicurus, Aristarchus the astronomer and Pythagoras, the father of maths were born. Located in the North Aegean Sea it lies in close proximity to Turkey and its main port is at Vathi, which is also called Samos. Karlovassi and Pythagoreion are the other ports. There are many things to do in Samos including hiking, climbing and mountain biking. Other activities include adventure and eco tours. Place of interest incluede the Tunnel of Eupalinos and the Temple of Hera. The Greek islands are amazing! What can you tell me about Samos though? During the ancient times, Samos Greece was a very wealthy and powerful state, it was mainly known for producing good quality wine due to its vast vineyards. The island is also home to Pythagoreion additionally to Heraion of Samos, which is among the UNESCO world heritage sites.The Island is geographically located very close to Turkey, but is separated by the mile-wide Myscale Strait. However, this does not limit people from crossing over to the island to enjoy the exotic beaches. In addition, the island is also famously known for producing sweet Muscat wine, so if you are a wine lover, this is one to try while on the Island. Samos Greece distinguishes itself from others because of its beautiful beaches and very lush greenery around the island. So! Now that I am in Samos what do I do there? While at this Ancient Island, there is a lot that you can do. If you wish to please your palate, then Samos Greece will satisfy this need. The Island presents you with the best opportunity for exploring a variety of tastes that the famous Samos Muscat can offer. Samos Greece organizes wine festivals the first ten days in the month of August at the capital city Vathy. The best part of the festival is that, you buy one wine glass, and after that you refill it as many times as you can handle. The beaches on the Island are very famous for their crystal waters additionally to the green environment surrounding them. The beaches that have been considered the most beautiful are the Kokkari, Mykali, Tsamadou, and Lemonakia. The beauty the beaches possess help you to unwind and relax during your stay at the Island. There are several museums you should visit if you are a history buff. Those include the Pythagorion Archaeological Museum, Samos Wine Museum, Archaeological Museums of Mitilini and the Karlovasi Tannery Museum. Potami Waterfalls is a good place to start. Others of interest are The Alyki wetlands and the Monastery of Panagia Spiliani, which features the cave dedicated to the Virgin Mary. Some say I am cheap. I say I am frugal. Give me the cost of things in Samos? While in Samos, it would be advisable to rent a car, as this will greatly help you in exploring the large Island very quickly. The average cost for small city car is 50 euros. Small city cars are ideal at the Island because they are comfortable and easy to drive. Additionally you will not have to spend a lot on fuel as you explore the ancient Island due to its fuel efficiency. Hotels in Samos Greece are cleverly spread across the various spots on the Island to ensure your stay is memorable. The average cost of a room per night would average between 50 to 115 euros, depending on your taste and which will ensure that you enjoy the magnificent sea, and nature the island has to offer. A three course meal, for two people in a mid-range restaurant would cost on average about 30 euros, while an imported beer will cost about four euros and a cup of regular Cappuccino about Euro 2.90. Hit me with it! What is the one spot I must visit in Samos? Visit the Pythagoreion. It is an archaeological site and a must see in Samos. It is considered among the eight wonder of antiquity as it was built on the town's ruins. Tyrant Polycrates, in 550 BC ordered Eupalinos an engineer to construct a 1,036m tunnel. The tunnel was to be used to connect the two sides of the mountain and supply water to the ancient capital in Samos. However, the tunnel had to be invisible to their enemies so that in the event of an attack it is not destroyed. The engineer Eupalinos was so amazing at his job that he began digging both sides of the tunnel simultaneously. The archaeological site has a lot of historical value to the Island making it a must see. Me hungry! What should I eat in Samos? 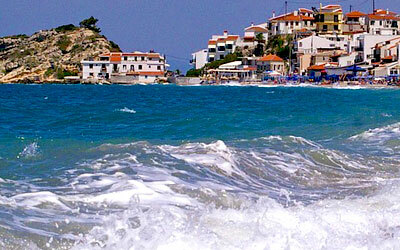 Since you are exploring the Island then you should try some of the famous meals Samos is known for. The Island is home to some of the finest ingredients used around the world. In his regard, do not leave Greece without trying the Dolmades. It is found in every region of the Island and every household. It has a variation of classic grape leaf, which has been wrapped with rice parcel. It is a finger food, which at times the vine leaves could be incorporated with mincemeat and long grain rice and a combination of various herbs. I am not going to walk everywhere! How else do I move around Samos? As the Island is enormous, walking would take you some time in exploring the various sites. A convenient way of exploring the Island is hiring a car. It is an inexpensive option especially if you rent it for more than four days. There are varieties of companies that offer this service; therefore, it is not a hustle to get a rental. If you are not into driving, the other option would be getting a taxi. It is a necessity especially if you will be staying on the outskirts of Pythagorio. The reason being on the outskirts it will be very hard to get a local bus. You can also rent a motorcycle, scooter, buggy, ATV or bicycle. Feeling for some Vino! Do they make their wine in Samos? Which should I try? If you are a wine lover, then Samos Greece is the place for you, it is home to a variety of wineries. Thus, you are assured of getting the best quality of wine that can be offered. The island is famous for its Samos Muscat wines that have been produced from the grapes that have the same name, making the wine unique and rich in its aroma. There is a variation of sweet and dry wines produced. For an excellent Sweet wine, you should try the Anthemis, as it is a hidden treasure aged for about five years in wooden casks. The Golden Samena is a good dry wine that is rich with the reminiscent of a ripe, fleshy pale fruit that is very flattering to the taste. Visitgreece.gr is the official tourism website for Greece, run by the Greek National Tourism Organisation.